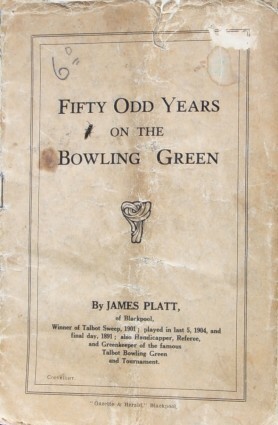 This is the oldest crown green publication on the site, but the introduction mentions that Platt also produced previous pamphlets in 1906 and 1915. A loose card that came with the pamphlet lists Talbot winners from 1873 when it was first played, to 1936. Further winners to 1941 have been added in pencil, now very faint.